See who we work with. 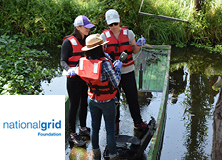 The National Grid Foundation provides community support for solutions to educational and environmental issues in the service areas of the National Grid Corporation: Massachusetts, New York, Rhode Island, and the UK. EY is a global leader in assurance, tax, transaction, and advisory services and is committed to minimizing its environmental footprint and championing a low-carbon economy. The Alliance for Beverage Cartons and the Environment (ACE UK) represents the leading U.K. beverage carton packaging manufacturers while also supporting environmental policies. Alcoa is a world leader in aluminum production, and also engages its employees, improves the environment, and educates future leaders through the Alcoa Foundation. Allianz Insurance is the world’s largest property and casualty insurer, and also engages its employees in environmental issues on Earthwatch Expeditions. Aviva provides insurance, savings, and investment products to 34 million customers worldwide, while also helping to protect the environment for future generations. 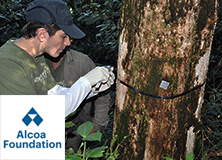 British American Tobacco (BAT) is the world’s second-largest tobacco group, and also provides support to Earthwatch capacity-building and employee fellowship programs. Credit Suisse is a financial services company that assists scientists in environmental research while enhancing its understanding of climate change and sustainability concepts. HSBC is a global financial services company that created its Climate Partnership program to reduce the impact of climate change and accelerate adoption of low-carbon policies. 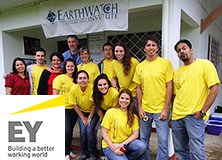 Kraft Foods is the world’s second-largest food company, and is actively engaged in employee learning, community investment, and environmental research initiatives with Earthwatch. Kuoni specializes in luxury vacations and supports our conservation activities by promoting and selling Earthwatch Expeditions to its customers. Microsoft is a world leader in software and computing, and also is interested in joining the science of climate change with its business activities and sustainability objectives. 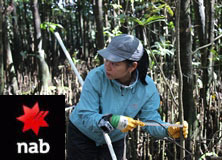 Mitsubishi develops and operates global businesses across many industries while promoting environmental and social projects in Europe and Africa with Earthwatch. Penfield makes quality outdoor clothing and supports the environment by giving Earthwatch a percentage of sales of its apparel carrying the Earthwatch logo. Royal Dutch Shell is a global group of energy and petrochemical companies, involved in environmental initiatives tied to employee learning, scientific research, and more. Saudi Aramco is the state-owned oil company of Saudi Arabia, and supports research and environmental education focused on business-relevant conservation issues. Starbucks is helping research relationships between sustainable farming practices and quality coffee, while collecting data on soil acidity and plant productivity. Syngenta is one of the world’s leading agribusiness companies and is actively exploring ways farmers can integrate wildlife conservation into productive agricultural landscapes. Timbmet, a market-leading timber distributor, has a commitment to sustainability and has participated in a number of stakeholder events around sustainable forestry. UPS is the world’s largest package delivery company, and works hard to engage its employees to overcome the key environmental challenge of carbon reduction. Waitrose is a major supermarket whose Seven Point Plan for Pollinators addresses the decline of bees and butterflies in the supply chain. 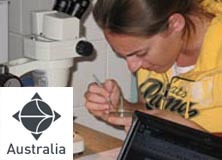 Earthwatch Australia has a long-standing track record of successfully engaging the corporate sector to deliver improved environmental and social outcomes through a range of capacity-building programmes. 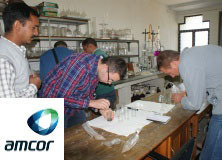 Amcor – Our Belief Statement: We believe in responsible packaging. We passionately and relentlessly apply art and science to enhance the products people use in everyday life – today and tomorrow. 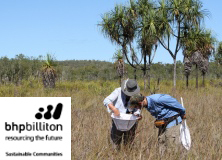 Australia’s largest nature discovery project endeavouring to document the plants and animals on hundreds of properties across Australia’s National Reserve System. National Australia Bank Group is a financial services organisation with over 12,400,000 customers and 42,000 people, operating more than 1,800 stores and service centres globally.